I made peach jam last night! I ended up not having time on Tuesday night because the ILs came over for dinner. So last night as soon as I got home I went straight into jam-mode. I was worried that if I put it off any longer the peaches would start to go bad. I asked Benzo to take some pictures of the process and we even recorded a video! LOL. I haven’t watched it yet but hopefully there’s some useable footage he can edit together to make a short video on water bath canning. Benzo is really good at video editing and all that tech-y stuff. I, on the other hand, am not. 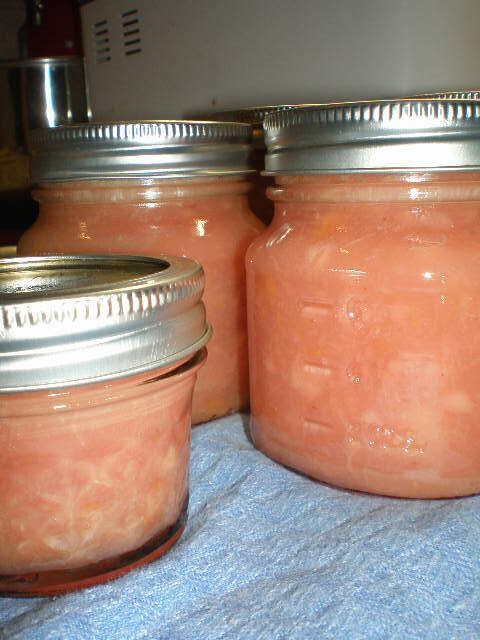 I now have 4 half pint jars and 3 jelly jars of peach jam. I also have the equivalent of a half pint and a jelly jar in the refrigerator to enjoy right away. I tried to leave some good chunks of fruit in there. 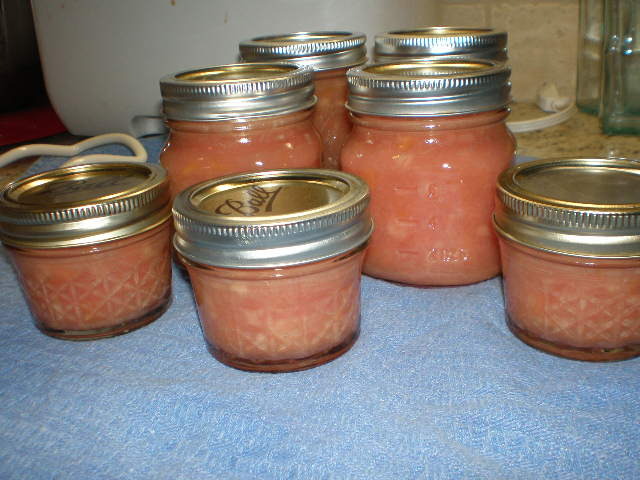 I used mostly white peaches with a few yellow ones thrown in. That’s why the jam looks more pink than yellow. You can see a few specks of the yellow peaches mixed in with the white. I LOVE the jelly jars!!!! They are so cute! These would make the perfect gift for someone. Well that’s all for the peach jam preview! Hopefully I’ll have the full post on jam-making in a couple of days. I’m off to work. Have a great day! Ohhh, that looks so pretty!! And yummy! I’m jealous! That looks amazing! 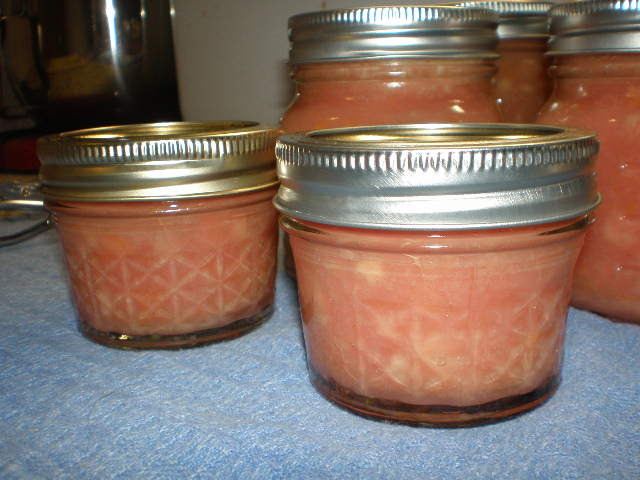 I love white peaches and that looks like it works really well as a jam.